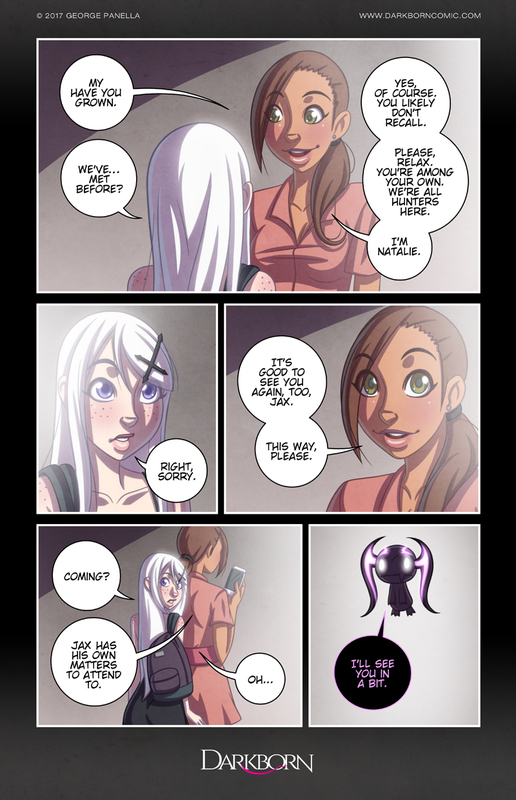 Another week and another page is here! This time Azia is greeted by someone that knew her when she was younger. She is then separated from Jax for the first time in recent memory. Where are they going? Be sure to keep voting for Darkborn to help it grow and see this month’s incentive image.